It is possible to pick 2 or 3 activities from our list of Group Programmes and combine them into 1 day. This is a great idea for groups with mixed interests or to give a taste of a range of outdoor activities rather than focusing on a single activity for a full day. This approach is great for younger groups as it keeps the interest levels high and gives us some flexibility with the weather as we can extend less condition dependant activities in the event of bad weather, or switch the activity altogether to a more appropriate activity on the day. 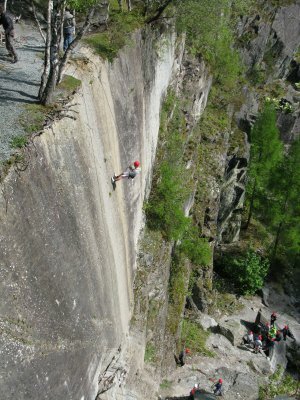 See our Group Climbing Video, Group Abseiling Video and See our Group Gorge Scrambling and Canyoning Video.